A husband and wife and their two sons have appeared side by side in the dock at Coleraine Magistrates Court charged in relation to an incident at a house at Portstewart’s Old Coach Road on July 12, 2014, when it was alleged a drumstick was used as an offensive weapon. The charges relate to alleged assaults on a number of people. The accused are Roy William McNiff (55), Linda McNiff (45) James McNiff (20) and Dougie McNiff (18) - all of the same address at Central Avenue, Portstewart. 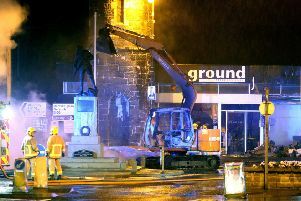 Also charged is Tara Gormley (19), of Agherton Road, Portstewart. From the dock Roy McNiff said he would like to know why the PSNI “did not charge” individuals he alleged assaulted James McNiff. All the accused were released on their own bail of £500 as the cases were sent to Antrim Crown Court on October 25.